I am honored to be a part of this great fraternity. We have a special bond that will last forever. I joined the US Marine Corps in 1975 right after graduating high school thanks to my father who signed my enlistment papers as my mother would not. I began serving at 17 and I was fortunate to see the world during my three years of active duty. When it came time to re-enlist I wanted to be stationed anywhere in California. I was a Jersey boy and I’d had enough of winters. Needless to say my request was denied so I decided to get out. I landed a job with the US Postal Service and life was good. But something was missing and that something was the military. After a long break in service I joined the US Air Force Reserves (USAFR) in 1999 in the career field I always wanted – Health Services Management. 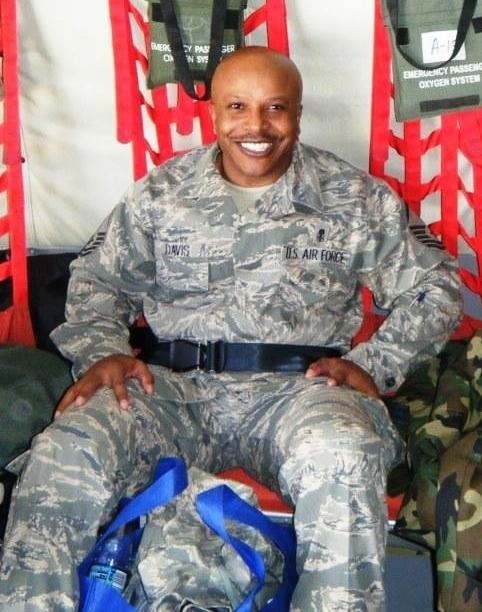 I have always been driven to make the best of situations no matter where I was stationed but my favorite mission was a deployment to the Dominican Republic as a member of the US Air Force medical readiness team in 2006. During this humanitarian joint force mission team, which treated over 16, 000 patients in a one month period, I was responsible for the triage of 600-1,000 patients daily. This mission was one of the most humbling experiences for me. Being surrounded by poverty and sickness makes one realize that we truly have a lot to be thankful for. There is just something about this military fraternity. I love being a part of it. To me serving this great country is an honor that I am very proud of.